Addison Pest Control rids your home of ants, termites and rodents and offers complete lawn care services. We make extermination and lawn care easy, and we give you your money back if you are unhappy with our work in any way. We are firmly entrenched in North Dallas and Collin Counties and have serviced thousands of homes and yards to our customers’ satisfaction. We regularly do business in the cities of Lewisville, Highland Park and Frisco. I've been using Addison Pest Control for more than 12 years. We recently moved within the Metroplex and I'm still using them! Just had our initial pest inspection, eradication and prevention visit. No pests around here! Thanks, Addison Pest Control! Courteous, thorough, professional service....and very reasonably priced. Great service.....both pest control & customer. Excellent communications and a professional crew of technicians! Quality professional service that exceeds expectations. Jeff is always very thorough and efficient. Great customer service. Very professional and very courteous service. Corey Turley and his team are wonderful! Very happy with my service. Give them ⭐️⭐️⭐️⭐️⭐️. Y'all do a great job. Jeff is good and friendly. Always excellent. On time , knowledgeable , thorough and affordable . Waiting for second treatment before I can go higher than four stars. Always excellent, courteous, friendly and knowledgeable. good prompt service.Very thorough inspecting.Technician is good and listens to customers concerns. Corey and his team always do an awesome job. I couldn’t be happier with the service they provide. The tech, Mike, is always friendly, calls us if he will be late or even early at times. He does a thorough job thru out the house, inside and out. He gets along great with our dogs and lets us know if we need to keep them away from an area for some time. All in all, just takes great care of us. Very Professional, Happy with termite check up & mosquito treatment, online billing is working well, Thank you!! Love the company and the technician ♥️. you do a great job/ Jeff is aLWAYS A PLEASURE TO SEE AND WORK WITH. Great service, friendly staff, very effective. 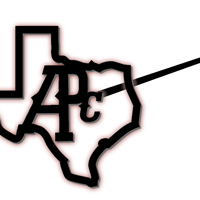 I had an excellent experience with Addison Pest Control. Provided needed answers with no pressure to buy their services. Would recommend them to anyone. ELM. Mike is fantastic at his job! This team has always been and continues to be GREAT! Prompt, professional and knowledgeable serice. They are always on time and always take care of any issues we have. Great company! Outstanding --- always on time and always complete work. Terrific service. Courteous service people. I love how Mike remembers things about my house. We are always pleased with the service and professionalism of your team members. Very dependable and always nice to customers! I've used them for over 20 years and have no desire to change. 'nuff said. I am very pleased with the service that Addison Pest and its technician offers. I would highly recommend this company. I've used Addison Pest Control for years and never had a problem. The tech, Jeff, has always been dependable, on-time, thorough, conscientious and polite. This company is A+ in my book. p.s. My last service was last week and I have a $6.17 balance on my account. Can you explain since I pay in advance? Thanks.